Photo session locations are half the battle! When picking a shoot location it's time to think outside of the box! Brainstorm unique locations that have some sort of meaning to you, somewhere full of memories, or perhaps somewhere you only have access to. Maybe a beautiful private estate, a country club or resort. Maybe it's a family ranch, an upscale hotel or even a boat, airplane hanger or a rooftop view. The sky is literally the limit! Spend a few minutes thinking about it, checking around. You'll be surprised what you come up with! When Heidi and Chris approached me about doing their maternity session at Jim Edgar Panther Creek State Fish & Wildlife Park, I said, "Absolutely!" The place is about an hour from here and is home to multiple lakes, rolling hills, and beautiful sunsets! After arriving I could quickly see why they wanted their photos there. Not only is this place meaningful to them, it is GORGEOUS! So gorgeous, that my family decided we want to go on a little mini vacation there this summer! If you've you never been there, you should go. 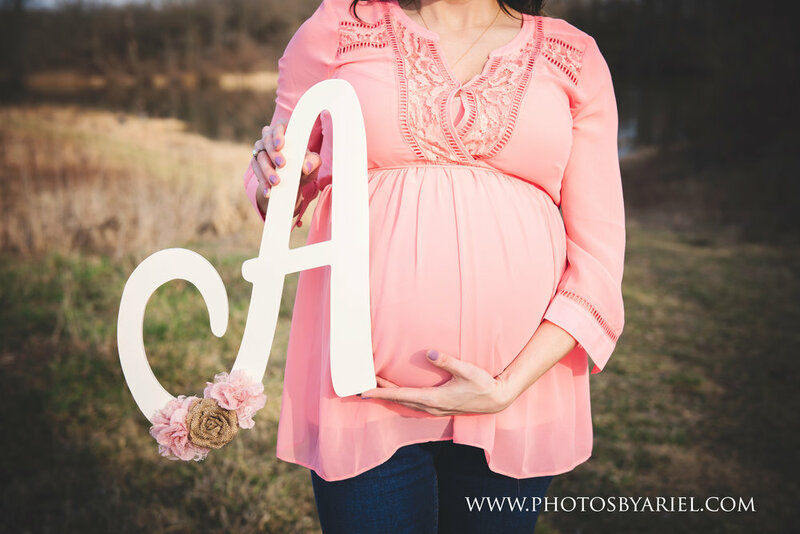 But in the meantime, enjoy some of these sneak peeks from Heidi and Chris' maternity session!